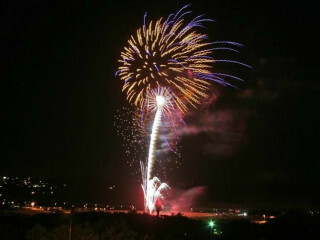 Enjoy fireworks over Lake Travis during the Lago Vista 4th of July Celebration. The stellar display, which begins at "dark thirty," will be preceded by a slew of family-friendly games at Bar-K Park near the lake's shores. The city of Lago Vista has whole lineup of Independece Day events all day (including a parade, a car show and a fun run), so we suggest checking out the official website for more information. 6608 Bar K Clubhouse Ct.
Prices vary on events; Donations are encouraged.